It’s time for another column featuring the highlights among new Blu-ray and DVD releases. Looks like it’s a very busy week with plenty to choose from. As always, be sure to click on any links to read detailed reviews. So, if you can’t make it out to the movies this week, be sure and give one of these titles a try! 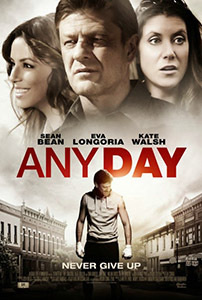 Any Day - A boxer gets into an argument at a party and beats a man to death in this brooding drama. 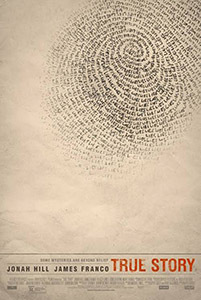 After being released from prison, he attempts to rebuild his life and meets a potential partner. However, even greater struggles arise for the lead after another personal crisis. The press didn’t care for this effort. They suggested that it completely wastes a great cast with a ponderous screenplay that veers into self-importance far too often. Sean Bean, Kate Walsh, Eva Longoria, Tom Arnold and Shane Black headline the production. Barely Lethal - This comedy aimed at the young crowd follows a teenage special ops agent who is forced to go undercover and attend high school with kids her own age. Of course, she finds assassinations easy compared to the new assignment. This effort only received a limited release and the reviews that did trickle in were poor. Almost all wrote that the movie mixes silly teen comedy clichés with ineffective action and is never able to decide exactly what it’s trying to do. It stars Hailee Steinfeld and features Jaime King, Samuel L. Jackson and Jessica Alba in supporting roles. Child 44 - Here’s a high profile title that barely got any press during its release earlier in the year. It’s a $50 million dollar thriller from the director of Safe House set in the USSR during the reign of Stalin. An idealistic government official goes on the hunt for a serial killer, but finds his work hampered by political red tape. It garnered tepid notices that called it an ineffective police procedural that did little to thrill or raise chills, despite the great performers. Cast members include Tom Hardy, Noomi Repace, Joel Kinnaman, Gary Oldman, Vincent Cassel, Paddy Considine and Charles Dance. Sounds like you might be better off watching the similarly-themed HBO title Citizen X (1995) instead. 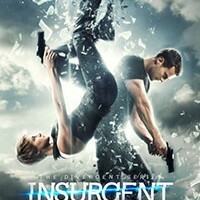 Insurgent - Also known as The Divergent Series: Insurgent, this is the second film in the futuristic young adult series. The plot follows its heroine as she goes on the run from the nasty Erudite leaders and attempts to join a revolutionary force that will free the world from its oppressors. 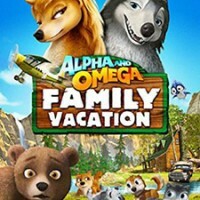 The press weren’t taken with this follow-up - while the majority agreed that there was plenty of action, they still referred to it as mediocre and underwhelming. 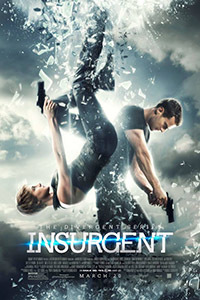 It stars Shailene Woodley, Theo James, Jai Courtney, Miles Teller, Octavia Spenser, Kate Winslet and Naomi Watts. To read a full-length review of teh movie, click here. Madame Bovary - Based on the famous French novel, this arthouse drama tells the tale of a pretty young woman who marries into wealth to escape her life on a pig farm. Upon entering high society, she attempts another upward move in the hopes of escaping her dull husband. It’s been called a difficult novel to adapt to film, and reviews suggested that it still hasn’t been done properly. While complimenting some of the performances and scenery, many felt it was a choppily condensed version that lacks both passion and the subtext of the written work. Mia Wasikowska, Ezra Miller, Rhys Ifans and Paul Giamatti take on the lead roles. 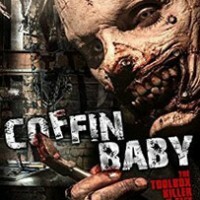 Toolbox Murders 2 - Despite being released in some parts as Coffin Baby, this is an official sequel to the 2004 remake of the original 1978 exploitation horror flick (I’m already confused, but that’s the deal). This time out, the serial killer from the previous film rampages through Hollywood and attempts to murder the sister of the woman who survived the previous film. Shout! Factory are releasing it, so perhaps it’s better than it sounds. At least it features Bruce Dern in a supporting role. True Story - Based loosely on an actual event, this drama follows a disgraced New York Times reporter who scores an exclusive interview with an accused killer pleading his innocence. As the writer slowly gets to know the inmate, he must investigate the claims to determine if they have any validity. Reviews were mixed for this effort. While most appreciated the low-key performances from stars Jonah Hill and James Franco, they felt that the filmmakers failed to develop much in the way of suspense or tension. The cast includes Felicity Jones and Gretchen Mol. To read a full-length review, click here. Wyrmwood: Road of the Dead - A mechanic attempts to survive a zombie apocalypse by developing weapons and an elaborate suit of armor to fight off attackers. Armed to the teeth, he sets out to cross the outback and rescue his sister from a mad doctor. This Australian midnight movie mixes the undead genre with Mad Max. Horror publication writers as well as festival audiences appeared to appreciate the effort. 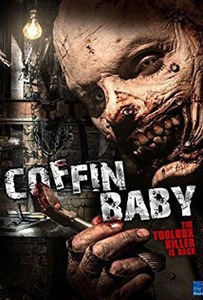 They called it a fun, high-energy action/horror flick that delivers the exploitation goods. 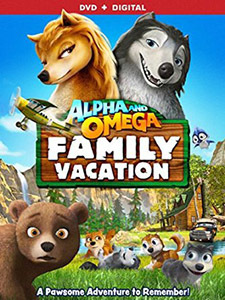 It stars Jay Gallagher and Bianca Bradley. Criterion have a Blu-ray of the classic film noir Night and the City (1950) coming your way. This British crime flick follows a wrestling promoter who attempts a complicated get-rich scheme that involves conning underworld figures. However, it soon becomes clear that his play may have dire consequences. This release includes the full UK version of the film in a new 4K restoration, as well as multiple director interviews and an audio commentary from a film historian. Warner Brothers are bring a few notable titles to Blu-ray. They include the Alicia Silverstone and Brendan Frasier romantic comedy Blast From the Past (1999) and the popular kid’s film Free Willy (1993). The highlight of the group is Innerspace (1987) - it’s a comedy directed by Joe Dante (Gremlins) and loosely inspired by the sci-fi title Fantastic Voyage (1966). The story involves a test pilot who is shrunken down in a capsule to microscopic size by scientists. When crooks break into the lab and attempt to steal the technology, the hero is accidentally inserted into the body of a meek grocery clerk. Together, they must stop the evil plot. This fun, funny underrated gem from the 80s stars Dennis Quaid, Martin Short and Meg Ryan. Foreign Intrigue (1956) and the heist flick He Ran All the Way (1951). Finally, they’ve also got the heist drama Storm Fear (1955), starring Dennis Weaver and Lee Grant. Lions Gate are reissuing a DVD of the Pierce Brosnan take on Robinson Crusoe (1997). For those unfamiliar with it, the classic tale revolves around a British castaway who lands on an island in the Pacific during the 1700s and struggles to survive the elements. Help comes in the form of a local tribesman named Friday - the two eventually become mutual friends. There are some plenty of choices available for little tykes of all ages. Check out the list below.